Summer is a season that has its own advantages and disadvantages. While some people like going to the hill station in summer and like a variety of drinks and ice cream, some people go to the swimming pool and water park and enclose the summers. Today we are giving you another option for Summer. By scuba diving, you can see the interesting world inside the sea. Come, know where you can give fun of scuba diving. 1. Goa – Get ready for the most amazing scuba diving in Goa! 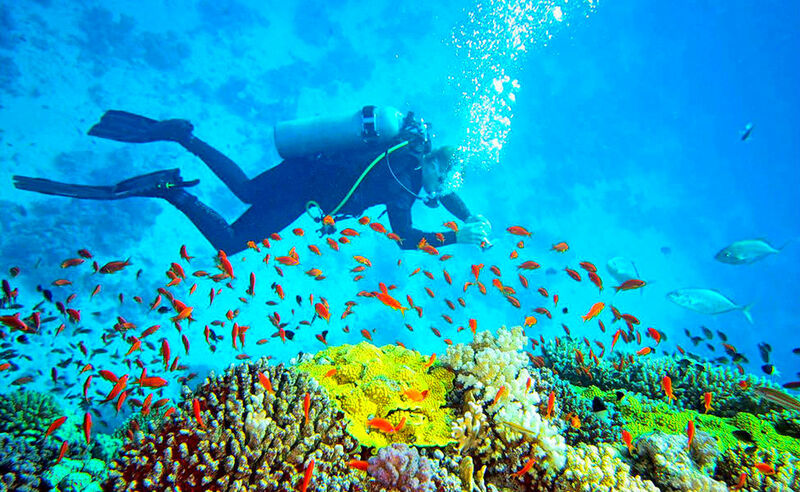 If you want to do scuba diving, you can go to Goa. Here you will get a chance to do scuba diving at the beach. Goa is such a place where you can go anywhere in the year. Interesting Thing: Water’s temperature in Goa is around 28 degrees and the visibility lies in between 5-10 metres. Nonetheless, most of the diving sites are not so deep, with (5-15) metres depth as they are safe and secured for beginners. 2. Lakshadweep – See the splendid underwater world! Lakshadweep has been explored far below underworld activities. The best diving site here is the Japanese Garden near Agatti Island. This place made from coral and coral looks like a beautiful Japanese garden and this is why it has the name Japanese Garden. Diving is allowed from 18 to 20 meters. Best Time To Visit: October to July. Don’t go solo while you dive as it’s always fun and safe to be in some company. No one can hold breathing so just breathe normally. Remember not to dive so deep so, start with small steps. Check your equipment twice before the dive. You have a trainer/supervisor whom you have to follow and remember he’s your only boss at that time. Just don’t pollute the home of marine flora and fauna. They don’t cause any harm to your world. 3. Netrani island, Karnataka – Prepare your heart to see the wonder! You should not go for the purpose of resort diving here because there is no popular destination in the area of nature tourism. During diving, there is visibility of 10 to 26 meters and here the experience of diving is very exciting and like a dream. Here is the nearest airport Mangalore and the best time to visit is from June to June. 4. Andaman – One of the best places for Scuba diving in India! 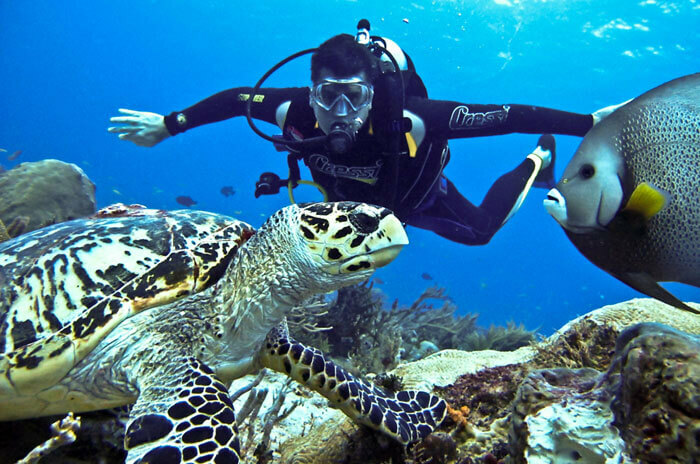 India’s best diving sites are located around Andaman. The diving site among the experienced divers is the most famous among them – Dixon Pinnacle, which is near Havok Island. The recommended depth for diving is 18 meters here, but you can dive up to approximately 36 meters. The nearby airport is Port Blair and the best time to visit is from December to June. It’s one of the best things to do in Andaman. Scuba Diving Organisers: Experience the Andamans with Barefoot, Pugmark Eco Tours. Best Time for Diving: The fun diving trips are mostly during morning hours and prefer the months from November to mid-April. Interesting Thing: The organizers of Scuba Diving offer certified training courses for new learners, advanced level, professionals and rescue divers. The expert and rescue divers are trained after sunset. Next articleThis Coral barrier reef is even seen from the space!